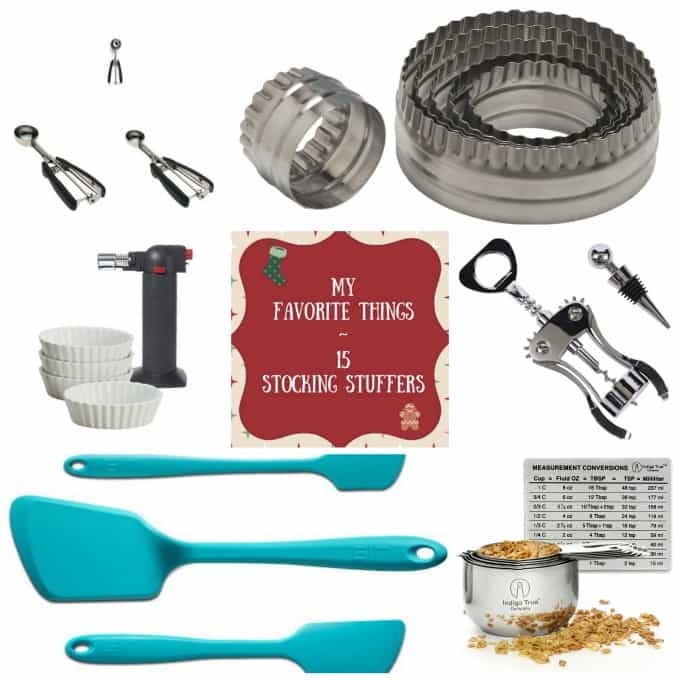 Here are some of my favorite things that I think would make great stocking stuffers, cool little gifts wrapped under the tree or put them together in a gift basket for your hostess! Now I know that there are people who like to shop on Black Friday in the stores, those who support Small Business Saturday by shopping locally, those who like to shop online to avoid the hassle of finding a parking space and those long lines, AND those who wait until the very last minute. I think I fall into each of those categories actually. Pin this to your favorite holiday Pinterest Board so you’ll have it! Last year I did two posts of My Favorite Things and shared with you some things that I’ve fallen in love with while searching the internet and items that I absolutely adore in my own home, specifically my kitchen, of course! This way, if you’re stumped what to get that “person who has everything”, hopefully we can help you out. This year I’ve decided to repost the stocking stuffers. I loved these little items last year and still love them just as much this year, too. Last September, I was able to go to Seattle to attend the International Food Bloggers Conference. The days the conference started, attendees were able to choose from a variety of excursions, such as KitchenAid/Sur La Table, Teavana, Chef’n, and a few others. 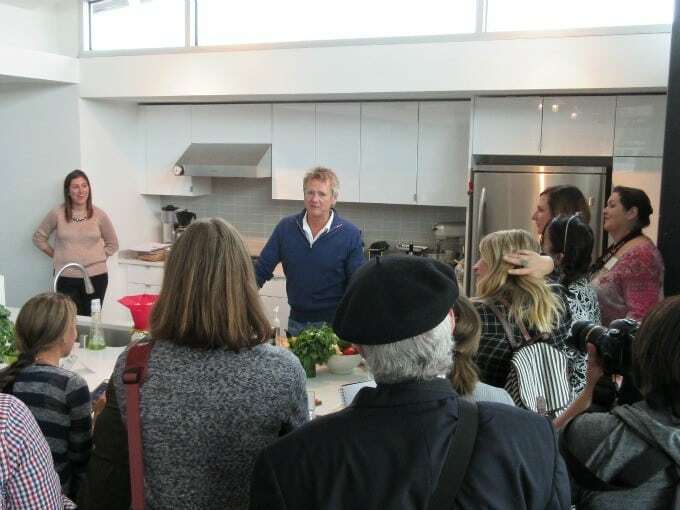 I chose the Chef’n tour because I wanted to hear all about some pretty cool kitchen gadgets and how they come to be. We were given a tour of their company and were able to personally meet David Holcomb, the founder and owner. He told us about how he started the company and demonstrated his products while making us some salsa. I really liked the products I saw and we were fortunate to be sent home with a few. Chef’n Strawberry Huller – I’m usually cutting the tops off my strawberries as I’ve never had a huller, but this makes it SO much easier! 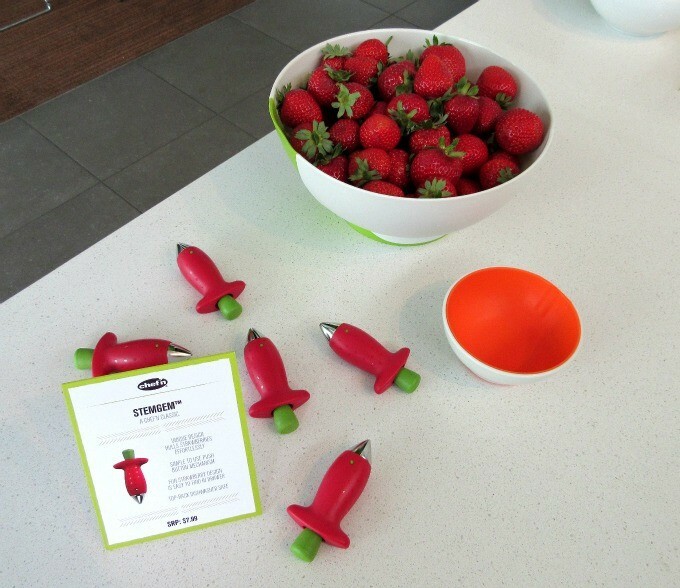 You can even STUFF the strawberries with different things this way. Chef’n Kale, Chard, Collard Greens and Herb Stripper – this baby helps you easily strip Kale off those stubborn stems. I’ve tried to eat those and they’re no bueno – TOO chewy! It will also take fresh herbs off like thyme, when the stem is inserted through the smallest hole. Pretty nifty! 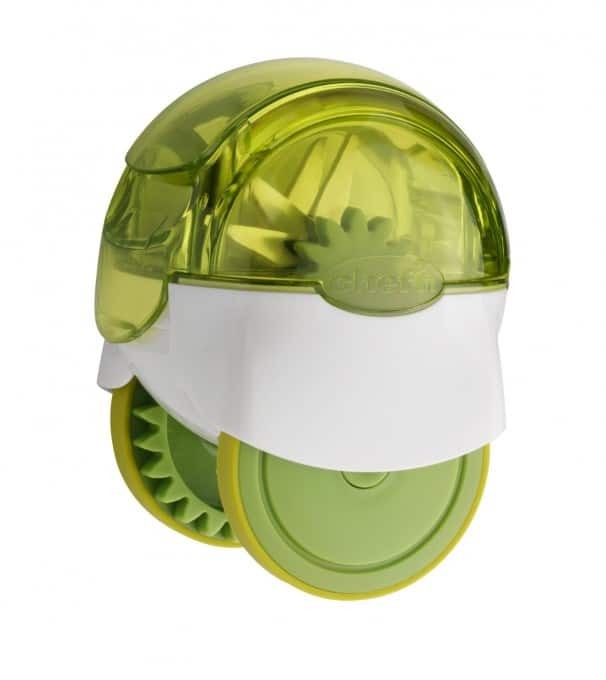 Chef’n Garlic Zoom Garlic Chopper, X-Large – this is one heck of a cool machine! I can put up to four cloves of peeled garlic in there, run the zoomer along the kitchen counter a few times and VOILA! All chopped nicey, nicey. Pretty handy and super quick. 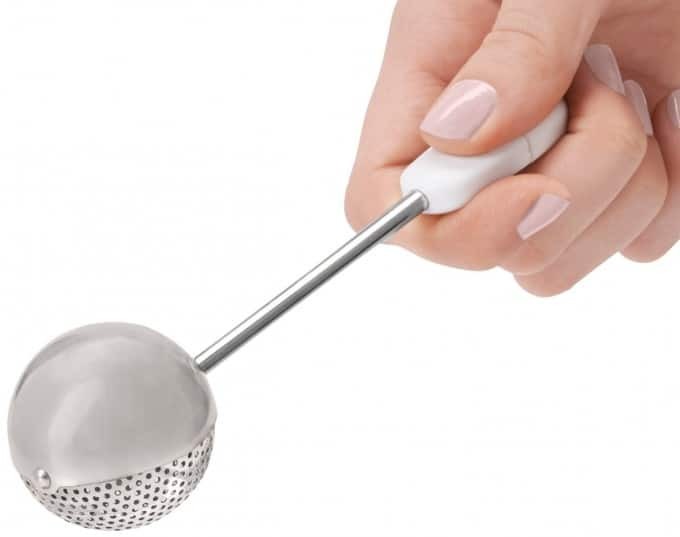 OXO Good Grips Baker’s Dusting Wand – there are some desserts in the kitchen that you want to sprinkle powdered sugar on and when you’re using a sieve that is larger than your dessert, there’s a tendency to shake the sugar all. over. the. kitchen. So, this baby comes to the rescue! 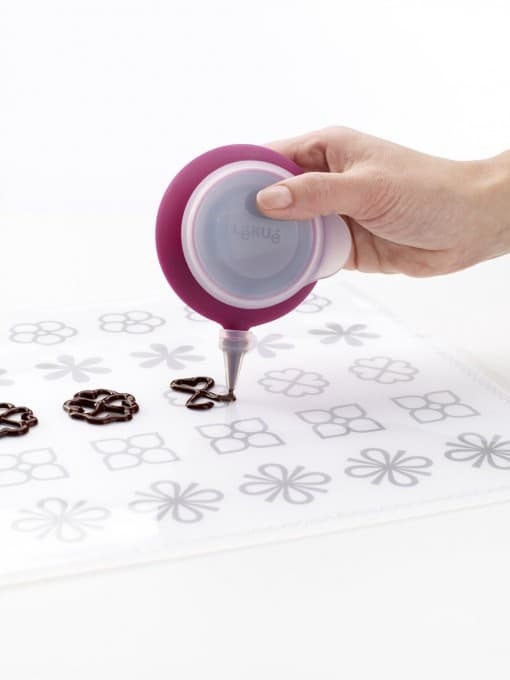 It’s easy to fill, is the perfect size for sprinkling, and is SO much fun to use! Sometimes, I don’t want to put it down and then tend to over-dust. Oh, well. 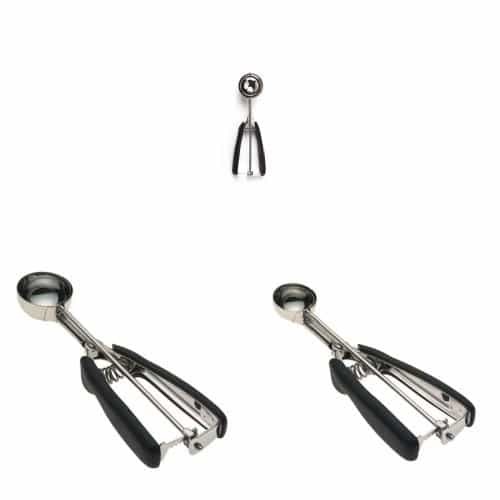 OXO Good Grips Cookie Scoop 3-Pack – if you like to bake cookies or know someone who does, give them these cookie scoops. They’re SO much easier to use than spoons. I had trouble parting with the spoon technique, but when I did, I was FLYING through my cookie making. Ok, maybe not flying, so to speak, but it made putting the cookie dough onto the sheet so much easier! It comes in a set of three with a large, medium and small scoop. CIA Masters Collection 6 Piece Measuring Spoon Set – of course, if you’re going to be making anything in the kitchen, it goes without saying that you need a set of measuring spoons, right? 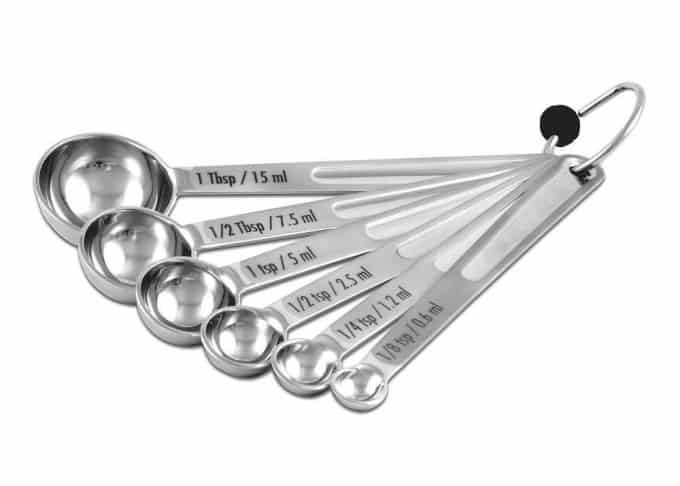 I love these because they’re sturdy and they include both the 1/8 and 1/2 tablespoon measuring spoon. I don’t like plastic sets as the markings have rubbed off and I’ve had other metal spoons that are so flimsy they’ve bent. Again, no bueno. 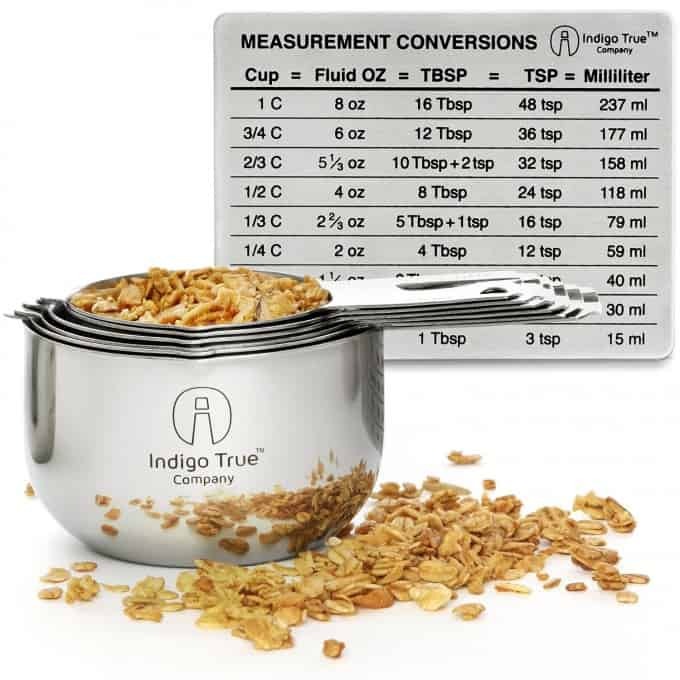 to follow with the spoons, it’s imperative that one has a good set of measuring cups as well. No plastic with the labels rubbing off and no tin can cups that get dented, not giving you accurate amounts. Phooey! This set even comes with a handy conversions magnet because even though I’ve been in the kitchen for years now, I’ll have a moment when I can’t remember how much of what is something else. 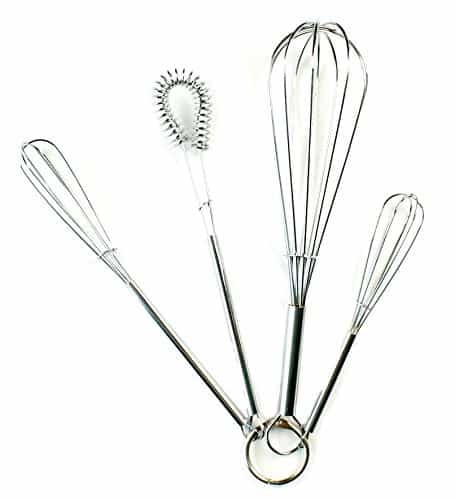 Fox Run Brands Mini Whisks, Set of 4 – A few months ago, believe it or not, I only had one, yes ONE whisk in my kitchen. Blaspheme, I know. Hey, this is the same person who didn’t realize she could buy different kinds of cereal and have them in the house at the same time….until I saw Seinfeld. Seriously. I don’t know, it just never occurred to me to buy different ones. I’d buy a few boxes of one kind one week and then a different cereal the next. I suppose I didn’t like change? So before summer, my dear friend, Mary, who has a whisk collection, gave me these as a gift. I have seriously fallen in love with them. They’re perfect for little jobs, like whisking one egg, a salad dressing, etc. Love ’em. 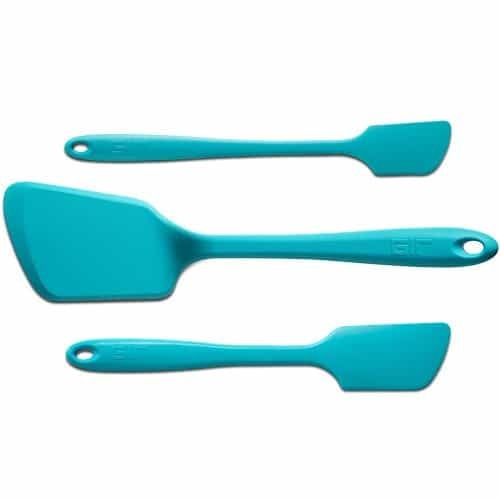 GIR: Get It Right 3 Piece Essential Spatula Set, Teal – a kitchen just isn’t a kitchen without a spatula..or MORE!! Take it from me, buy more than one of things, so you have the other one when one is dirty. 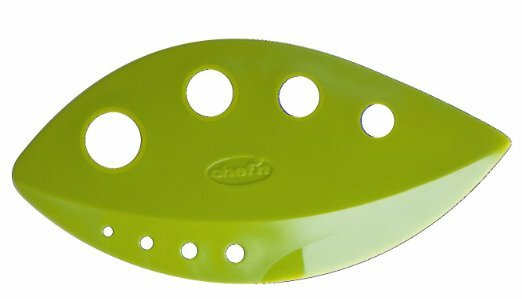 Anywho, this spatula set is sturdy, comes in different colors and is ONE piece which I find is extremely important. Having a one-piece unit means the inside of the rubber head isn’t going to get gross over time with mold and gunk because you can’t get into those small crevices to clean them. ICK! It also means that the rubber head won’t all of a sudden come off in your batter while you’re mixing. Not that I’ve ever experienced that or nothin’. Just sayin’. Ateco Professional Offset Spatula Set – while every kitchen may not need offset spatulas, once you use them I seriously doubt you’ll want to be without them. These make spreading frosting SO much easier than with a knife or regular rubber spatula. 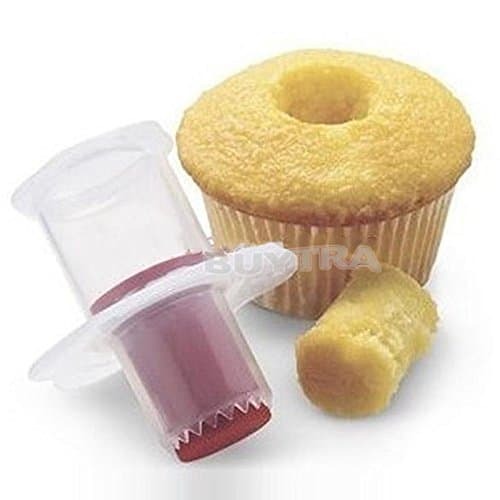 Buytra Cupcake Plunger Cutter Pastry Corer Decorating Divider Cake Filler – if you or someone you loves makes cupcakes, buy them this so they can FILL their cupcakes with extra yumminess. It scoops out the center so that the filling, candy, or additional frosting can be put into the middle. 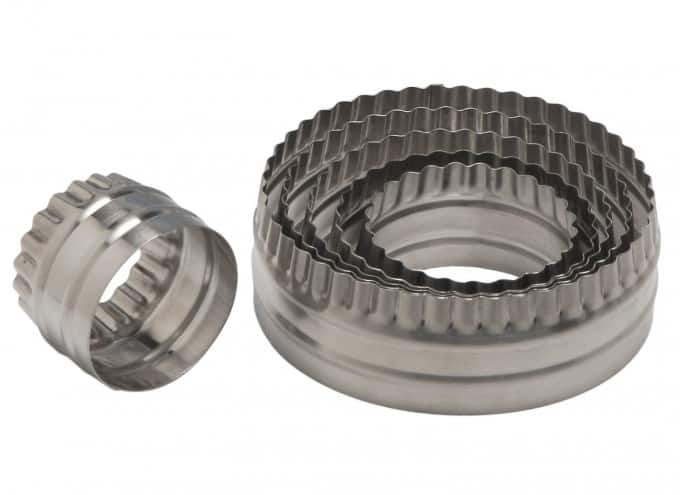 Ateco 6-Piece Double Sided Round Cutter Set – I love these cookie cutters because they’re double-sided. 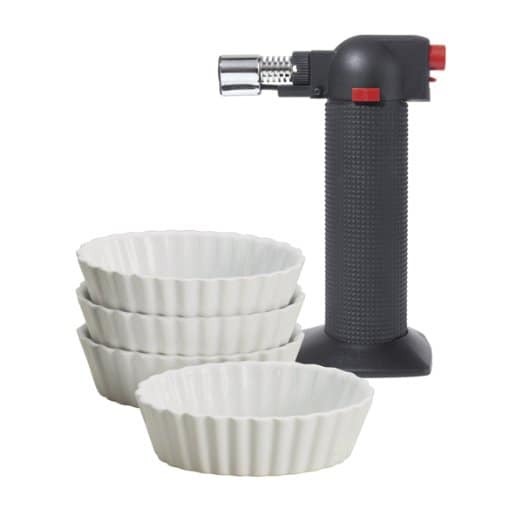 I use them not only for cookies, but for biscuits and scones as well. I love that I can use the round or the scalloped side. 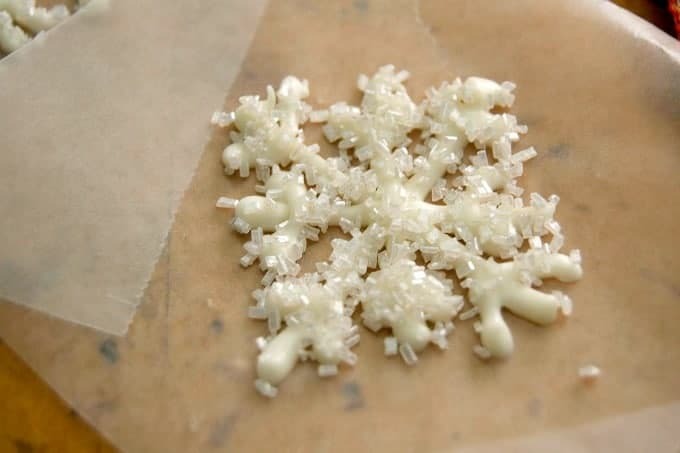 Lékué Chocolate Stencil Kit – I haven’t used this, but I’m thinking it would be a great thing to have instead of a plastic bag to make these White Chocolate Snowflakes. 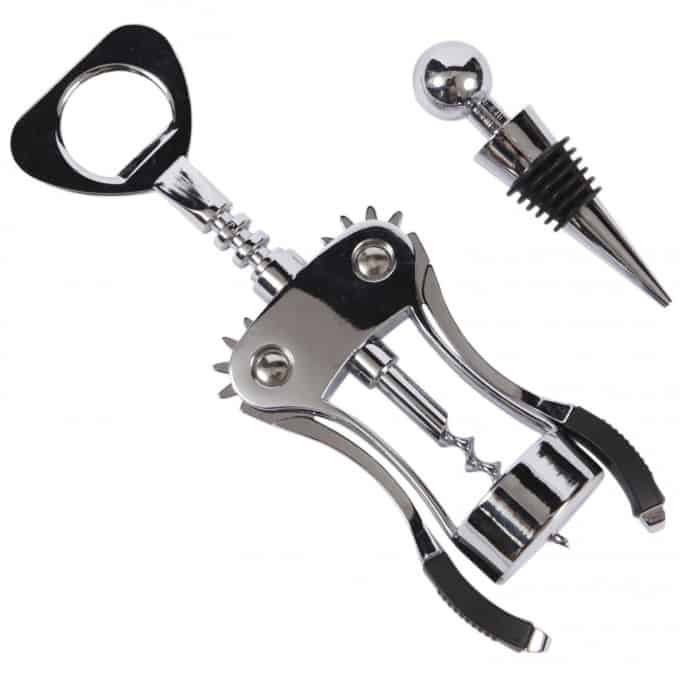 Precision Kitchenware – Luxury Corkscrew and Wine Stopper Set – I had a regular silly corkscrew to open our wine and needless to say, it really didn’t work out too well, broken corks and eventually the broken corkscrew. This item I really like. I haven’t had an issue with it, the cork comes out easily and it also comes with a stopper for the bottle when you’re not going to finish the whole bottle. The wine lover in your life will thank you. Oggi 5 Piece Creme Brulee Set – if you make Creme Brulée or if you have to brown any desserts, this wonderful little torch will come in handy. I don’t use mine often, but it’s a wonderful thing to have when I need it. It’s also great for melting cheese on small items. When I was little, my mother and my grandmother used to play this game with my grandmother every Christmas. They’d buy her a gift, some small contraption for her kitchen that she hadn’t seen before and she had to guess what it was. It was fun to watch her guess and is something I’d like to do with my kids once they have kitchens of their own. I think a lot of these items I’ve listed would be perfect for it! Traveling for the holidays? Here’s a great video to pack your items! The link to each item is an affiliate link. This means that if the item(s) are purchased through Amazon, I will receive a small commission from the purchase. The money I earn through the affiliate links as well as through the ads I have here on my site, allows me to provide my readers with delicious family recipes and supports my baking habit. I am blessed by your support.